CNN anchor Jake Tapper and chief political correspondent Dana Bash will co-moderate a town hall debate between Senators Bernie Sanders and Ted Cruz over the future of Obamacare on Tuesday, February 7 at 9pm, exactly one week after Tapper hosted his town hall with Congresswoman Nancy Pelosi. As noted in the press release, President Donald Trump has made repealing and replacing the Affordable Care Act one of his top priorities while Congressional Democrats are opposed. Sanders, an opponent of repealing Obamacare, and Cruz, a supporter of the President’s healthcare agenda, will join Tapper and Bash to debate the fate of former President Barack Obama’s signature legislation and the GOP’s approach to healthcare. 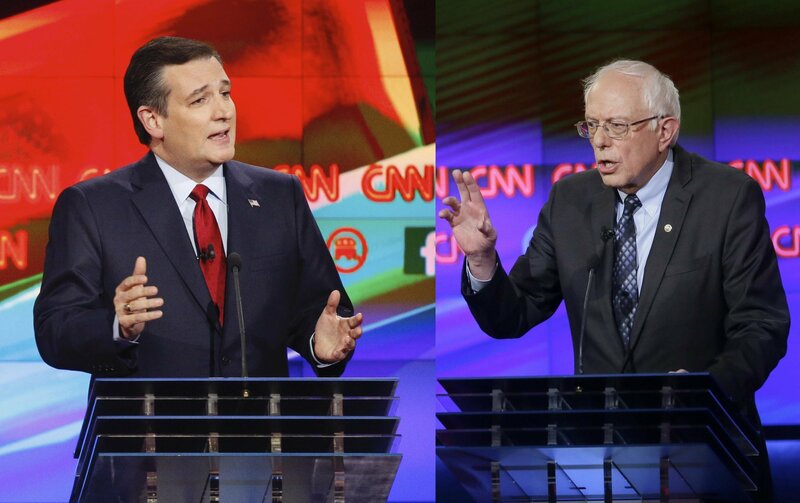 Sanders and Cruz, runners-up for their respective presidential party nominations, will also field questions from voters around the country at the Town Hall Debate, taking place at The George Washington University. The 90-minute event will air on CNN, CNN en Español, CNN International, CNNgo, Westwood One Radio Network and on CNN Channel 116 on Sirius XM. 1. Tonight and henceforth PLEASE refer to the health insurance plan by its name, ACA, rather than “Obamacare.” The term “Obamacare” enrages critics by its name association. We need the ACA and must do what’s possible to save and improve it.